Color is always a fun thing to use when we’re quilting. Color makes things pop! So lets embrace the projects that have a variety of colors and let them shine! These are often the most eye catching in our collections. Now, I love a colorful quilt that is done in a classy and neat way. Mixing simplicity and color makes a lot of the best results for a quilt. 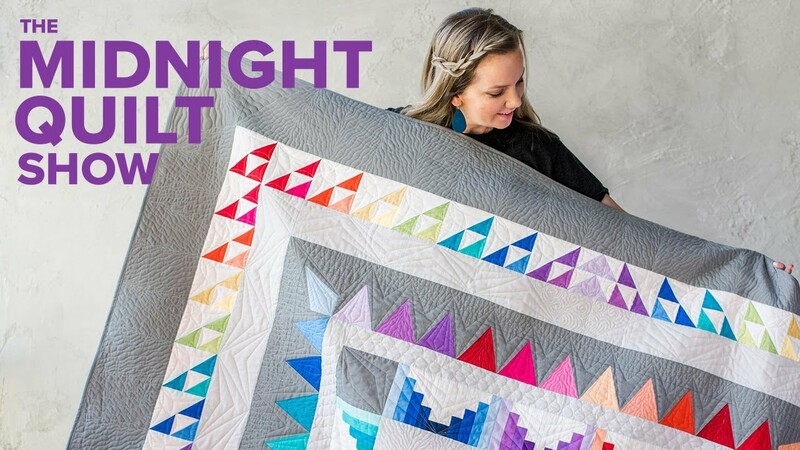 That is why I’m introducing a video tutorial called “Frequency Rainbow Star Quilt/Yazzii Giveaway+Angela’s Solo Retreat-Midnight Quilt Show.” This tutorial is by Angela with Craftsy. There is a lot going on in this video, as seen by the title! But it makes things very fun and as always with Angela, very entertaining. She starts the video by joking about her solo retreat and talking about the Yazzi kit that she is giving away. The Yazzi kit is super handy so maybe try the luck there! Then she going into the quilt. She is not the only one! It’s so nice to know that someone has similar problems and frustrations. She then continues to show us the templates we will need. Continue to the next page for the tutorial video.